Generally speaking, I don’t like hearing swear words in song. Not for any pious reason, I just think it can sound a bit contrived, a bit distracting. Swear words used ironically can be great, but if your intention is to transmit an idea or emotion sincerely, then swearing, for me, rarely has a place. 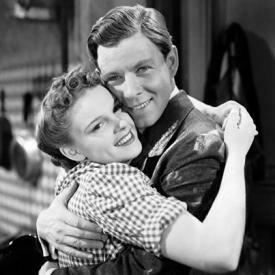 That said, there is one song I feel could be improved upon with the inclusion of a swear word — “A Great Day for the Irish” — from the 1940 musical comedy film, Little Nellie Kelly, starring Judy Garland. That’s what I long to hear, anyway.